As you behold the crater of Mt. Pinatubo, after a two-hour walk, you will be filled with awe. 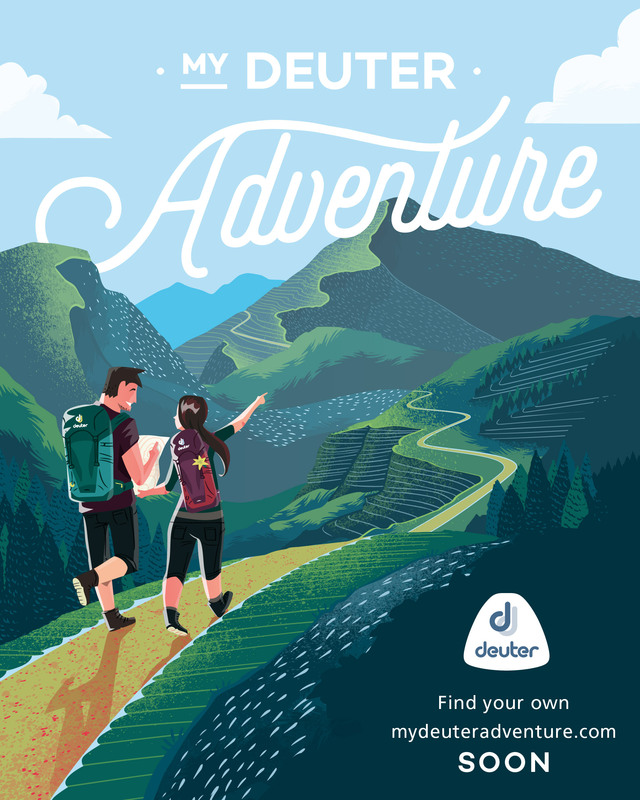 It will be – and this is not an exaggeration – sensory overload, for who would imagine seeing glacier-like barren brown peaks with white smoke effusing up, in the background of a crater lake that was in itself enchanting? It was truly an awesome sight to behold. That will just be the culmination of wonders, in an action-packed expedition to the world-famous volcano, whose eruption brought forth a desolate landscape that can aptly be desc ribed as ‘out of this world’. 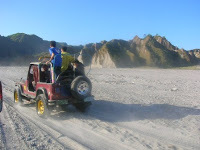 The 45-minute 4×4 drive to the foot of the mountain from Capas, Tarlac, is exhilirating; you will feel as if you were on a Disneyland ride in real life, as the 4×4 jeep crosses varicolored streams and an endless plain of volcanic sand. 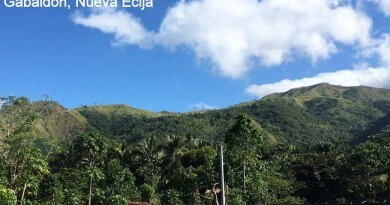 The two-hour trek that will ensue will take you to more volcanic formations; streams varied in color, depending on the minerals: there was ferrous red, sulfuric yellow, and algal green; there are cliffs of lahar that precariously stand tall against the remnants of a once tall (1,700+ MASL) mountain. The destructive force of the eruption is manifest wherever you would look. And finally, after arriving at the crater, after beholding the incredible sight, you could swim across the crater, and treat your way in the murky, reddish, mildly sulfuric water. 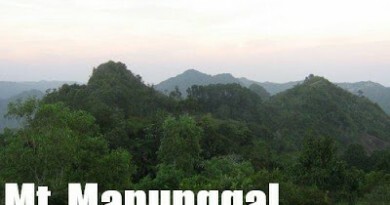 Although more of a tourist spot than a mountaineering destination, the Mt. Pinatubo trek is a must-do for Filipino mountaineers because of its stark difference from the regular mountains. Instead of forests you have stretches of sand; and instead of the blue-green mountains, you have a white-gray-brown, almost Alpine, formations. The elder generations will remember Mt. 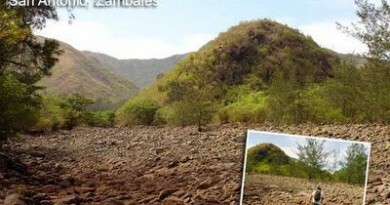 Pinatubo as a forested mountain; indeed, prior to 1991 nobody expected it to erupt. After all, its previous eruption, 600 years ago, is recalled only in myth as a war between Apung Pinatubo and Apung Sinukuan ( Mt. Arayat ), in which the former threw stones at the latter. The 1991 eruption had worldwide implications: spewed ash reached as far north as Russia , and worldwide temperature dropped by 1 C. There are so many stories and narratives about this internationally-renowned catastrophe. It is unimaginable then that the most powerful volcanic eruption of the 20th century will, less than two decades later, give rise to one of the country’s most beautiful travel destinations. However, the relative barrenness is a transient phase which will be gone in a matter of years. Trees will grow and the landscape continues to evolve. Hence, enthusiasts are encouraged to visit Mt. Pinatubo while it lasts! The next time around it may no longer be the same. A limiting factor in Mt. Pinatubo is the expense. One of the cheapest available tours is being offered in PinoyMountaineer Tours. For inquiries, you may contact us at info@pinoymountaineer.com or call/text us at 09204719371. 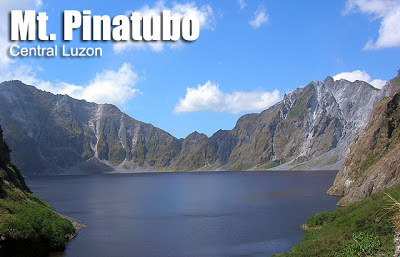 Click here to access the Pinatubo Tour page. It is safe to swim in the crater of Mt. Pinatubo , but do not go in the middle. The guides warn that currents might drown you or pull you underneath. Kayaks may be rented at the crater lake. You may climb Pinatubo at any time of the year, but pay attention to weather conditions especially during the wet season months of May to September. Heavy rains, especially those of typhoons, cause lahar floods that have stranded tourists in the past. PinoyMountaineer does not recommend attempting climbs to Mt. Pinatubo if there is any storm within Luzon, even if there is no storm warning for Zambales and Tarlac. The color of Mt. Pinatubo ’s crater varies from blue to green to brown. From December to February, the color is a beautiful cyan. 64 Comments on "Mt. Pinatubo (960+)"
Permission to share my story po. Thanks! It was a great experience up there. Though it was kind of pricey, it was totally worth it. akyat ako ng mt pinatubo via sapang uwak on may 18, sino gusto sumabay? just text me 09288642353.